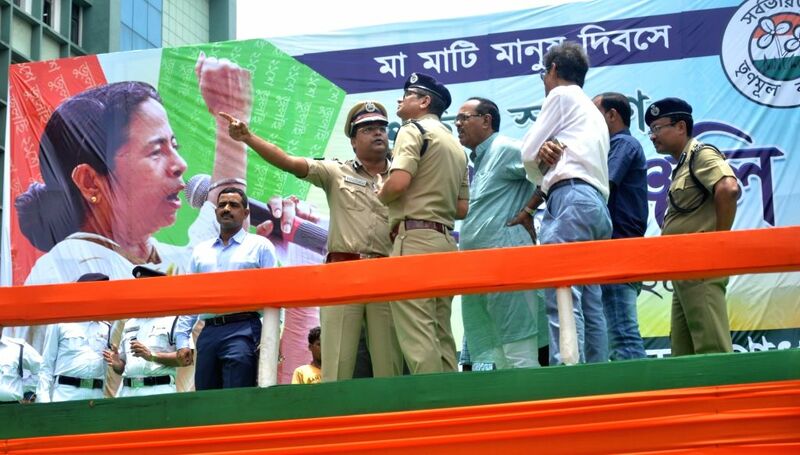 Kolkata: Police inspect the venue of Trinamool Congress Martyr's Day celebrations in Kolkata, on July 20, 2018. 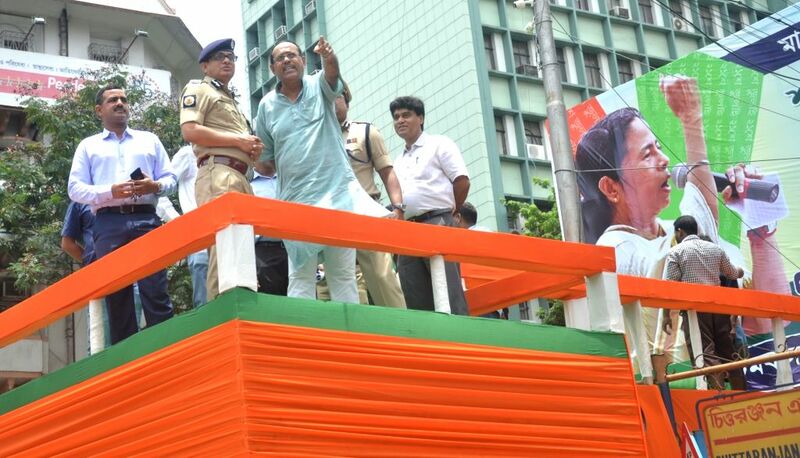 21st July is observed as Martyrs' Day by the party in memory of those killed in 1993 Kolkata firing. 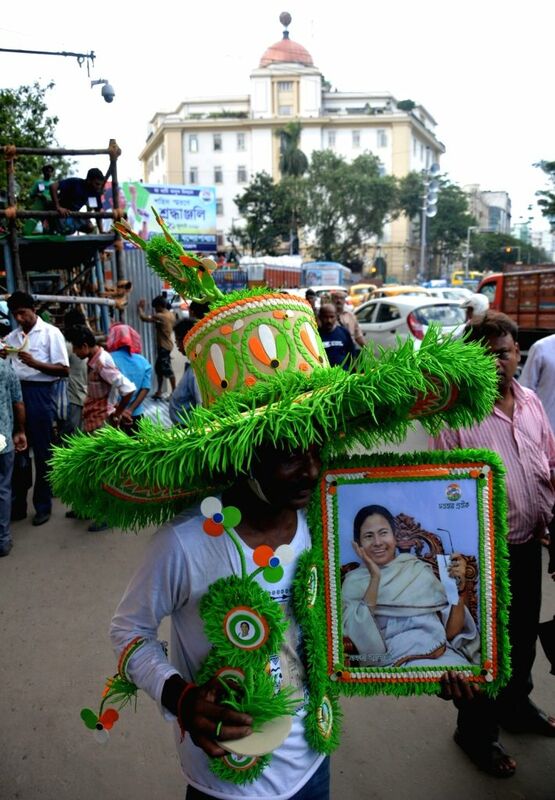 A Trinamool Congress worker holds a portraits of West Bengal Chief Minister and party supremo Mamata Banerjee on the eve of Martyr's Day, in Kolkata, on July 20, 2018. 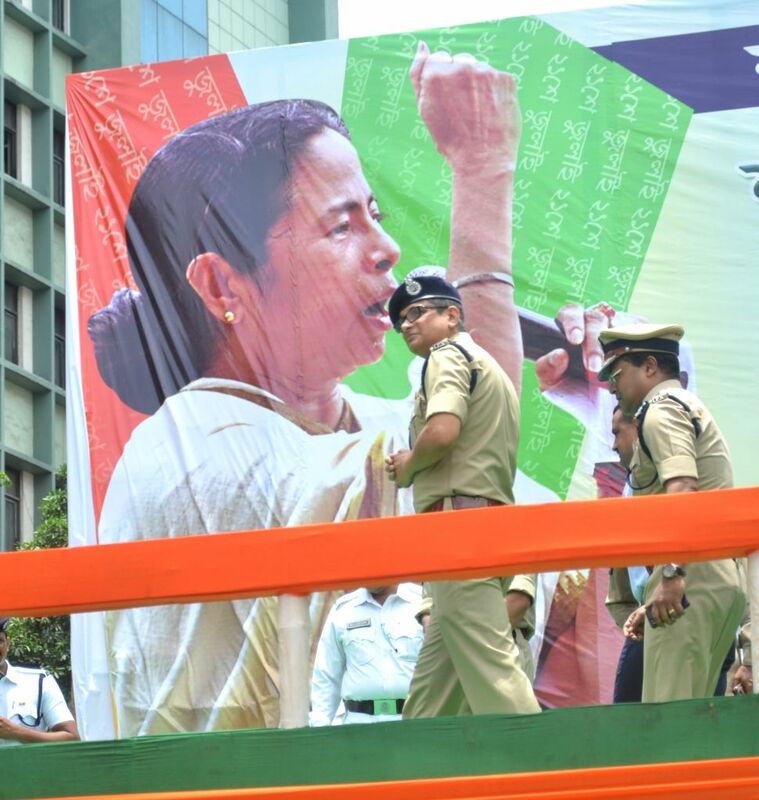 21st July is observed as Martyrs' Day by the party in memory of those killed in 1993 Kolkata firing.